Chinese scientists create biggest virtual universe with world’s fastest computer, dwarfed Switzerland’s record set only last month, will help researchers in their efforts to unlock the secrets of the cosmos. 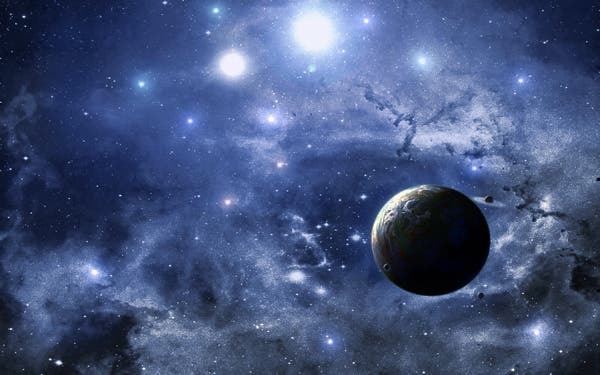 China experts said that China was learning to take full advantage of its raw calculation power, which had outpaced other nations in recent years, and recreating the universe was just the first step. The development of the next generation of high-performance computers will allow researchers to work in tandem with other advanced technological facilities, such as the world’s largest radio telescope, to unlock the secrets of the universe. By simulating the creation of the universe on Sunway – or its more advanced successors – researchers will be able to single out distant areas of space for the telescope to investigate. Gao Liang, chair scientist of the computational cosmology group in the National Astronomical Observatories, Chinese Academy of Sciences in Beijing, said they simulated the birth and early expansion of the universe using 10 trillion digital particles, doing a quadrillion calculations per second. This project’s scale was five times greater than that of the previous record, which was achieved last month by astrophysicists at the University of Zurich in Switzerland, he added. But while the European project ran for 80 hours, the Chinese one was maintained for just over an hour. The Chinese work was carried out at the National Supercomputer Centre in Wuxi, Jiangwu two months ago. “There were lots of calculations… It must be exhausted,” Gao said. He explained that Sunway had used a total of 10 million CPU cores, running multiple instructions on each core to increase the speed of calculation. The simulation was disclosed to the public for the first time on Wednesday in an article by Wang Qiao, another scientist taking part in the project, for S cience and Technology Daily, the official newspaper of the Ministry of Science and Technology of China. The Sunway was stretched to its limit by the task, but it remained heathy, according to Gao. “This is just a warm-up exercise. We still have a long way ahead to get what we want,” he said. In astronomy, researchers simulate the universe by breaking down its mass into particles. These particles interact with one another through physical forces such as gravity. The more particles involved, the more precisely the scientists can replay and forecast the universe’s evolution. This process can shed light on many issues such as the nature and spread of dark energy. The calculation, also known as N-body simulation, intensified with the increase of particles. It was only possible to simulate over 1,000 particles with the best computers in 1970s. In recent years scientists reached the trillion-particle level on some of the world’s most powerful machines such as the Titan in the US, the K computer in Japan and Tianhe-2 in Guangzhou. Gao said “We just got to the point of tens of millions years after the Big Bang. It was still a very young stage for the universe. Most galaxies were not even born,” he said. China has been building its next-generation high performance computer which will be at least 10 times faster than Sunway. When the machine is finished around 2019, astronomers in China will have more calculation resources than their peers in most other countries to uncover the secrets of the universe, according to Gao. The supercomputers will work alongside China’s other large scientific facilities, including Fast, the world’s single largest radio telescope which is 500 meter in diameter, in Guizhou. The telescope, whose name stands for the “Five hundred metre Aperture Spherical Telescope”, could obtain detailed information from the distant universe, but first it would need to know where to look. By simulating the evolution of the universe on a computer, researchers can single out promising regions that may offer interesting findings and feed the coordinates to the telescope. 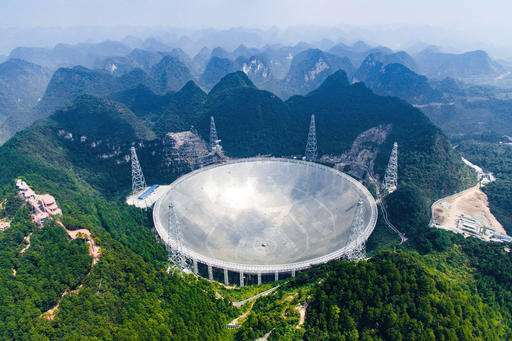 “Having a more sensitive telescope, we can receive weaker and more distant radio messages,” Wu Xiangping, director-general of the Chinese Astronomical Society, said of the 500-meter Aperture Spherical Radio Telescope (FAST) nestled in a bowl-shaped valley between hills in the southwestern province of Guizhou “It will help us to search for intelligent life outside of the galaxy and explore the origins of the universe,” he added underscoring the China’s race to be the first nation to discover the existence of an advanced alien civilization. “After 2020, the weight of new discoveries about the universe may shift to China,” Gao said.